Zeynep Somer-Topcu is an associate professor with tenure in the Department of Government. Her research and teaching interests include party politics, voter behavior and perceptions, election results, and representation. Her main focus is on Western Europe, though her research often extends to other advanced industrial democracies. Her work has appeared in the American Journal of Political Science, British Journal of Political Science, Comparative Politics, Comparative Political Studies, European Journal of Political Research, Journal of Politics, and Party Politics. She is currently working on a series of projects examining how parties' position-taking strategies and particularly how their election campaign strategies affect voters perceptions of party policies. 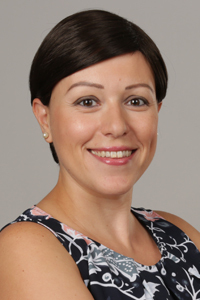 Somer-Topcu is the co-winner of the Emerging Scholar Award given by the American Political Science Association section on Political Organizations and Parties in 2013. She also received the Jack Walker Outstanding Article Award in 2013 for her coauthored article “Government versus Opposition at the Polls” (coauthored with Kathleen Bawn) given by the APSA section on Political Organizations and Parties. Her coauthored article “Is Anybody Listening?” (coauthored with James Adams and Lawrence Ezrow) was awarded the American Journal of Political Science Best Article Award in 2012. This latter award is given by the Midwest Political Science Association to the best paper published in the American Journal of Political Science in the previous year. This course provides students with a general introduction to the political institutions, voter behavior, and issues in West Europe. The objective is to equip students with a broad overview of the politics and political systems of Western Europe, as well as on concepts, methods, and tools to understand and analyze contemporary developments. The course is organized thematically (rather than in a country-specific way) around a framework that emphasizes the political determinants and policy consequences of institutional differences. We will start the course with a short overview of the countries and the history of Europe. We will then look at political institutions in Europe—ranging from the executive power to the parliaments and electoral systems. Next, we will discuss the European party systems and political parties (where do they come from, how do we explain the differences across countries, how do parties elect their leaders and get funded, etc.). In the second half of the course we will discuss the important issues/problems Western European countries face: (1) regionalism, (2) the European Union, (3) lack of voter interest/knowledge, (4) immigration, (5) the rise of anti-immigrant politics and challenges the mainstream parties face, (6) political corruption and scandals, and (7) European foreign relations and security issues. Attendance is NOT required. However, the exams will heavily rely on what we will discuss in class. There are more details beyond the slides we will discuss in class, and you will be responsible of those details in the exams. Therefore, I strongly encourage you to come to class. Class participation is different from attendance. Throughout the course students are encouraged to raise questions and relevant discussion topics in class, and expected to contribute to class discussions. Students are expected to do the assigned readings before we discuss the topic in class, and arrive at class ready to discuss the readings. While there is not a participation grade, I will use my personal judgment based on your in-class participation to bump your grade up if your final grade ends up very close to the higher letter grade. There will be about 10-12 quizzes throughout the semester. I will announce most of these quizzes in advance but also reserve the right to administer pop quizzes. These quizzes will ask a short question about the readings assigned for that class. You must have a piece of paper and a pen ready for each class in case we have a quiz. I will put the question on the board and will give you 3-5 minutes at the beginning of the class to answer the question. If you arrive late, you will not be allowed to take the quiz. You will receive a grade out of 10 for each quiz. We will post the grades on Canvas but not hand back these quizzes. you miss more than 6 quizzes you will automatically fail the class. There are five topics with deadlines scattered throughout the semester. You have to choose two of these topics and write short papers. These short papers should not be longer than 6 pages (double-spaced), or shorter than 4 pages (double-spaced), excluding the title page and the bibliography. In these assignments, you will provide the facts about the question asked. However, you can receive full grade only if you provide a critical analysis for the question. You have to have a bibliography part and show your research. Wikipedia is not accepted as a scholarly citation. The papers are due at the beginning of the class (1pm) on the day they are due. You must bring hard-copies to the class. Emailed or late submissions won’t be accepted, and you will receive a grade of F for that paper. There are three exams scattered throughout the semester. Each exam will be a combination of multiple-choice questions, short or bullet-point answer questions, and a few long (one-page) essays. There will also be required news articles or editorials assigned for each class period. These will be based on the current events for the topic under discussion. We will post them on Canvas on Fridays before each week. There will be additional required articles/chapters for some classes. These readings are denoted with an asterisk (**) in the syllabus, and will be available on Canvas in advance. This course is an introduction to probability theory and mathematical statistics. It covers the basic concepts in statistics including descriptive statistics, probability, probability distributions, random variables, hypothesis testing, and inference. We will also have an introduction to bivariate and multiple regression. The tools the students will learn in this class will form the basis for more advanced methods courses, and not only for quantitative observational analyses but also for experimental, qualitative, small-n research, and other approaches. Overall, the topics of this course form the foundation on which all statistical work is based. This foundation is important for you to become more informed readers of political science research, for helping you acquire the necessary groundwork for more advanced methods courses you take in the future, and for the analyses you do in your own research, whether your focus will be on observational large-n analyses, small-n research, qualitative research, experimental research, or formal models. Problem sets are an essential part of this class. You can better learn statistics if you work on problem sets. I will distribute them throughout the term and expect them back within a week. Due dates will be clearly stated on the problem set, and the assignments will be due to a specific class period. You should turn the hardcopy assignment in class. You can collaborate with others on the problem sets. In fact, I strongly recommend collaboration because you can learn more while collaborating. Although I encourage collaboration, your submitted work must be your own. There will be two exams: a midterm exam during a scheduled class time and a final exam. The final exam will be cumulative and take home. The major purpose of the final project is to provide you with an opportunity to carry out a research project on data of interest to you. In other words, the assignment is open-ended; an opportunity for you to show your stuff. You will pick a research question and find an appropriate data to test your hypothesis. You can use an existing dataset or generate your own data. You should have at least 40-50 cases in your dataset. I will provide a possible list of data sources later in class. You must anticipate carrying out appropriate multivariate analyses using these data. You will receive extra 5 points on top of your overall assignment score if you write at least 4 exercises using LaTeX. Your eight assignments add up to 100 points at the end of the class when they are included into your final grade. If you did write at least four assignments using LaTeX this would automatically add 5 points on top of your total assignment score. Our TA will hold regular review sessions and workshops throughout the semester. You are required to attend this sessions and workshops unless you have a significant conflict. The goals of these sessions are going over the assignment solutions, reviewing the material for the midterm and the final exam, and answering your questions on statistical packages and any other issues related to class. We will start the course with a short overview of the countries and the history of Europe. We will then look at political institutions in Europe, and briefly discuss the European Union. Toward the end of the course we will discuss West European voters, their political behavior, and important issue areas and policies in Europe. From the European Coal and Steel Community of six countries, the European Union has grown to be composed of 27 member states. It is governed by an ever-growing and strengthening set of political institutions. Member states share common economic and social policies, a common foreign and security policy, and (for some member states at least) a common currency, the Euro. They are also together suffering through the current economic recession. This course provides students with a general introduction to the politics, history, governing structure, and policies of the European Union. The course begins with an overview of the theories and the evolution of European integration. We will then look at how the EU is governed, and where the power lies. Finally, we will survey important European-level policies and issues, and conclude with a discussion on the future of the EU. a) The history of the European Union starting with the early history after the World War II and the developments throughout the years from the European Community of six countries to the European Union of twenty-seven. b) The main theories and conceptual approaches used to explain and make sense of the European integration process. e) The European Union policies and its areas of regulation from agriculture to monetary policies and foreign policies of the European Union. Attendance is NOT required. However, the exams will heavily rely on what we will discuss in class. I make the power-point slides available after class (on Canvas). However, there are more details beyond the slides we will discuss in class, and you will be responsible of those details in the exam. Therefore, I strongly encourage you to come to class. Note that I make a distinction between attendance and participation. Attending every class, without ever speaking up or turning these assignments, does not constitute participation. If you do so, you will receive 60 points (D-) for this part of the class. To receive more credit for participation, students are required to ask questions, raise issues, express opinions, etc. regarding the topics covered. There are seven topics with deadlines scattered throughout the semester. You have to choose three of these topics and write short papers. These short papers should not be longer than 6 pages (double-spaced), or shorter than 3 pages (double-spaced), excluding the title page and the bibliography. You can work in groups for these assignments but your write-up must be original and demonstrate your unique point of view. Please check out the deadlines to submit the papers below on the class schedule, and decide which dates work best for you before signing up. Each exam will be a combination of multiple-choice questions, short or bullet-point answer questions, and a few long (one-page) essays. The final exam may also have one long essay (2-3 pages long). If you foresee problems with the exam dates, see me after class, during office hours, or contact me by e-mail at least two weeks before the assigned dates. This course provides an introduction to a range of political science theoretical and methodological approaches. We will cover a lot of ground in this course in order to familiarize you with the field’s scope and methods, and allow you to master at least some subset of these approaches. We begin by discussing foundational issues in the study of political science. We will then discuss issues related to causal inference. Finally we will survey a variety, yet by no means exhaustive, list of approaches to the study of political science. - Given that some of you may be on the other side of the campus for an earlier class, you can be a few minutes late to the class. However, you should not be late to class for more than a few minutes (unless there is a exceptional circumstance like an exam, which should be notified in advance). Please do not be late and disturb the class. - You are NOT allowed to leave the class early. If you must leave early this can happen only once or twice during the semester. You must let me know in advance and can only leave within the last 10 minutes of the class. I reserve the right to occasionally call your name to discuss a topic or answer a question. (double-spaced), or shorter than 3 pages (double-spaced), excluding the title page and the bibliography. There will be a sign-up sheet on my door (the date will be announced). Please come and sign up for three topics. There are limited slots available for each topic. If you do not sign up for a specific topic, you will be randomly assigned to three topics. You can work in groups for these assignments but your write-up must be original and demonstrate your own point of view. This is a course with a lot of factual information on European politics and the European Union. There will be two in-class short quizzes that will check your facts. These quizzes will NOT be cumulative. Each quiz will be composed of multiple-choice, fill-in-the-blank, and bullet point questions, and last about 30-45 minutes (at most) at the beginning of the assigned class period. If you are late to the class you will NOT be given extra time to complete the quiz. Make-up quizzes will not be offered except in extremely rare circumstances. These extremely rare circumstances require a doctor’s note or a note from the Dean’s office. If you have an unanticipated emergency that causes you to miss the exam, contact me as soon as possible. The exam will have two parts: the first half of the exam will be like the first quiz and test your facts since the first quiz (multiple choice, fill-in-the-blank, bullet point questions). The second part of the exam will be composed of one-page essays and will cover all the material since the beginning of the class. The exam date is listed in the schedule below. If you foresee problems with the exam date, see me after class, during office hours, or contact me by e-mail before the assigned dates. Make-up exam will not be offered except in extremely rare circumstances. These extremely rare circumstances require a doctor’s note or a note from the Dean’s office. If you have an unanticipated emergency that causes you to miss the exam, contact me as soon as possible. Each student, as a member of a team, will be responsible for debating one of the topics from the list below. A sign-up sheet for the debate teams will be made available in the second week of the classes. If you do not sign up you will be randomly assigned to a group. Debates are of the form “yes/no”, where one side supports an initiative or idea and the other side does not. There will be three students in each debate team. After you sign-up for a topic, I will randomly assign you to the “yes” or “no” side of the debate. You are expected to do the background preparation necessary to be informed about your topic and to address questions from the debate moderator and audience. Each team will receive a grade given the group’s debate performance. In addition, each student will receive a grade based on his/her solo presentation performance. Your final debate grade will be calculated using these two separate grades. The details of the final exam will be made available later in the semester. Political parties are central actors mediating voters’ policy preferences and political outcomes. party systems, elections, and representation. is an expert on dominant party systems will guest lecture for that class. mixed electoral systems and their consequences with us in another guest lecture. work on the quality of representation in the US. parties in advanced democracies, and how the mainstream parties respond to this threat. You must bring the readings to the class for the in-class discussion.